In order to achieve our goals, we are engaged in a series of initiatives throughout the year to raise awareness of Down syndrome. Join us this year on Saturday, March 18, 2017, from 10:00-1:00 pm at the CADSA Office. Let's reach out to the community in honor of all individuals with Down syndrome. Join us Tuesday, March 21, 2017, from 11:00am-12:00om to ADVOCATE AND CELEBRATE at the state capital building! Last year we gathered to share testimonials about loved ones at the Michigan State Capitol in the Rotunda. Guest included participation by other Down syndrome affiliates throughout the state, and our State Officials, including Lieutenant Governor Brian Calley that spoke of the beauty of children with Down syndrome. 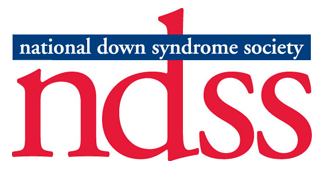 October 2, 2016, CADSA’s local Step Up for Down Syndrome walk is one of 300 events held annually across the country focused on increasing funding and awareness for individuals with Down syndrome and their families. In the past, we average 600 people attending our event, making it our largest fundraising event of the year. We would love for YOU to join us, too! Your support on our SUDS Campaign raised nearly $30,000 to help CADSA plan for 2017 operating our programs and services. We work on fundraising and grant writing year round to increase and ensure that we can provide, scholarships, programs, education, advocacy and outreach to our Mid-Michigan Community!